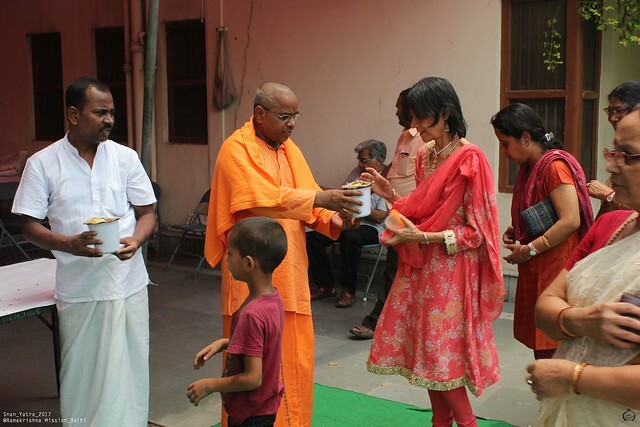 The Ramakrishna Mission, New Delhi, celebrated the Snan Yatra festival with a Special Puja to Bhagavan Sri Ramakrishna on Friday, the 9th June 2017. Snan Yatra is considered as a sacred day when ceremonial Abhisheka is performed to Lord Jagannatha at Puri Tirtha Kshetra. 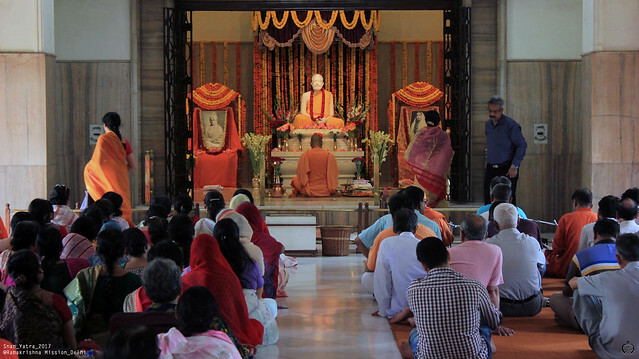 About 10 years ago, on this holy day the footprints of Holy Mother Sri Sarada Devi were installed in the shrine at Delhi. 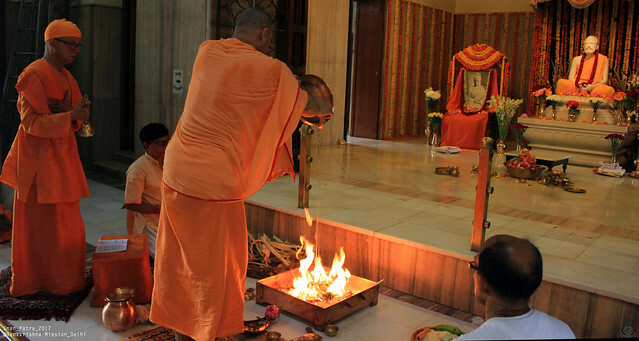 In commemoration of that sacred event special puja and homa is performed every year. 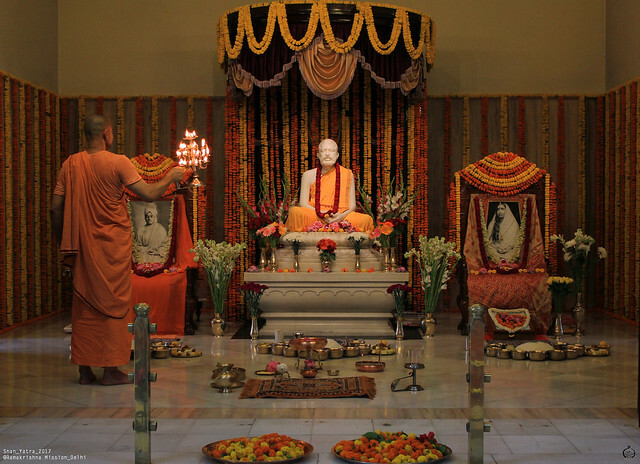 The day began with Mangalarati and this was followed by Vedic chanting. 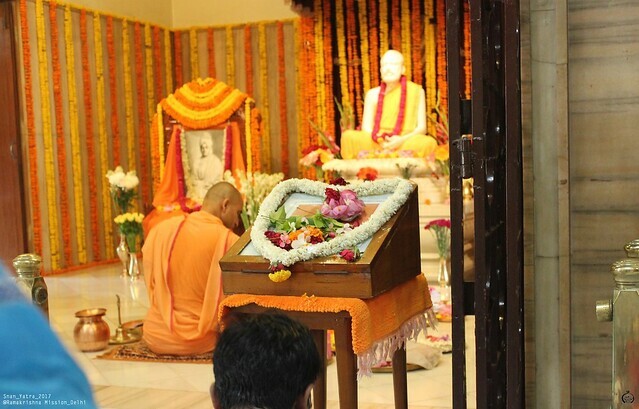 Swami Amritapurnanandaji Maharaj assisted by a few volunteers, performed puja and homa in the Temple. During homa, Revered Secretary Maharaj acted as tantradharak. 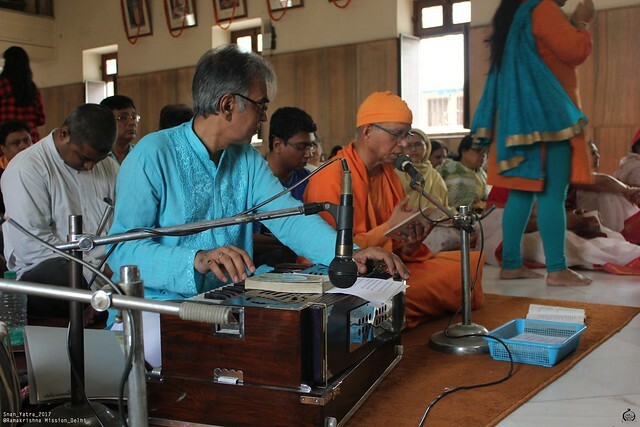 During the Puja Revered Secretary Maharaj and Shri Champak Chatterjee, accompanied by Shri Siddharth Bhattacharya on tabla and Shri Bikas Basu on manjira, rendered devotional songs. 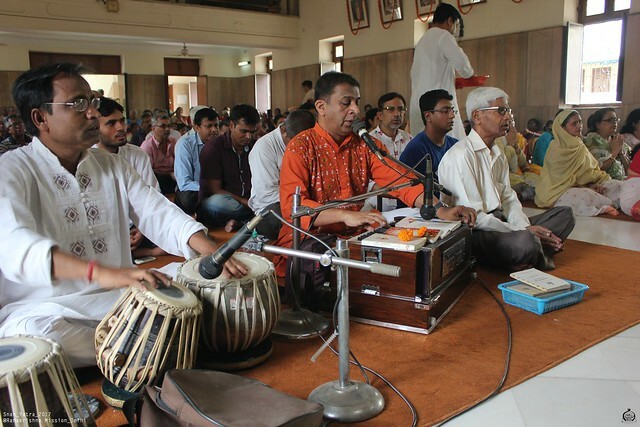 Homa was followed by Pushpanjali conducted by Revered Secretary Maharaj. After the Pushpanjali, devotional songs were rendered. 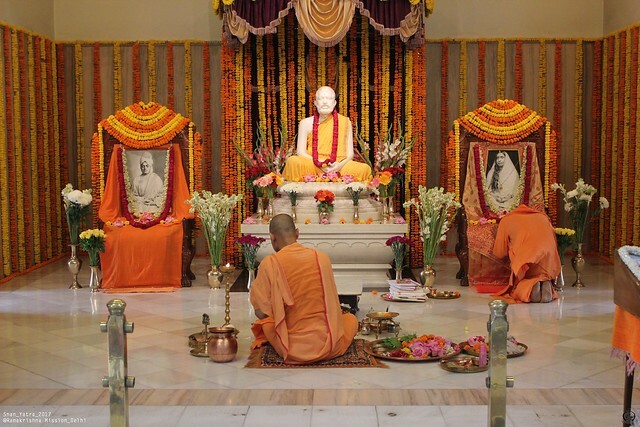 Arati was performed by Swami Amritapurnanandaji Maharaj. 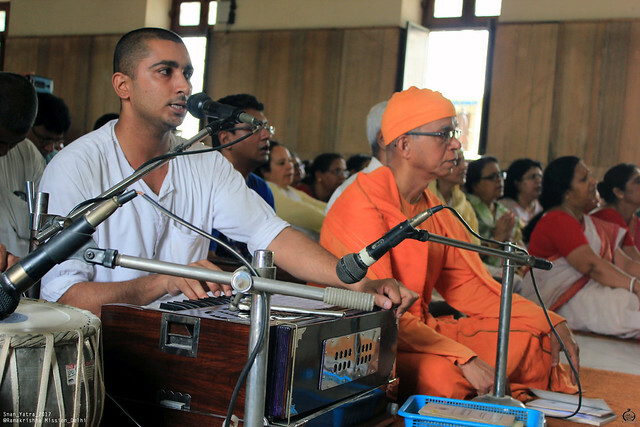 The Arati songs were led by Br. Divyachaitanya. 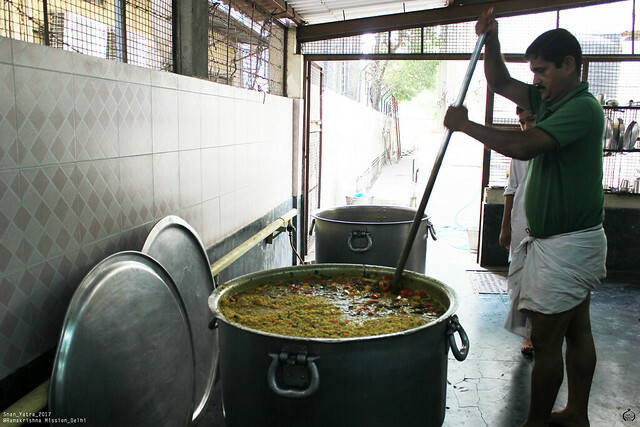 All the devotees offered pranams to the Holy Trinity and were offered cooked prasad.